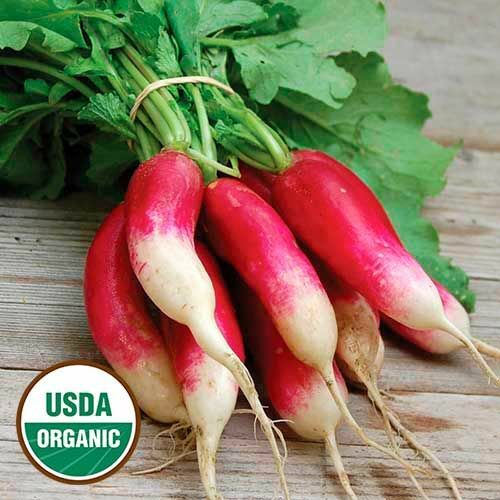 (aka Radis Demi-long Rose a Bout Blanc) A very early market garden radish of French origin. Listed by J.M. Thorburn & Co of New York in 1870. Oblong and blunt, rose-scarlet with a white tip. White crisp flesh with a mildly pungent flavor. Sow in the spring or fall and pick when small. 20-30 days. ±3,000 seeds/oz.